Undoubtedly a gamer's delight, today's Epic prize comes from Asus and includes a ROG Strix Fusion 300 gaming headset, a Cerberus Mech RGB gaming keyboard, a ROG Strix Edge mouse pad and a ROG Strix Impact gaming mouse! The competition winner will be picked at random from all eligible entries that arrive by 09:00 London time on the closing date, December 25, 2017. 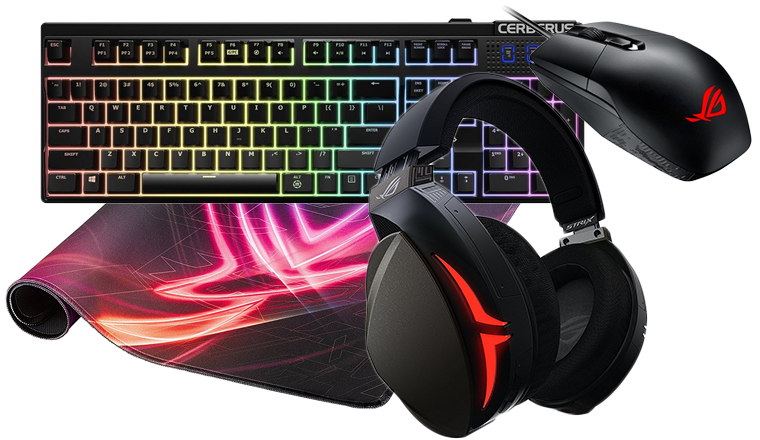 The prize is an Asus ROG Strix Fusion 300 gaming headset, an Asus Cerberus Mech RGB gaming keyboard, an Asus ROG Strix Edge mouse pad and an Asus ROG Strix Impact gaming mouse!.